One of my most frequently asked questions is how I do my eyebrows. Since it is highly requested, I decided to film the process for you! I'm not going to lie, eyebrows are the one thing I spend MOST of my time on when I'm doing my makeup; at least a good 5-8 minutes. Check out the video above for the full tutorial, as well as little tips and tricks that I like to do on a daily basis to ensure they stay put all day! 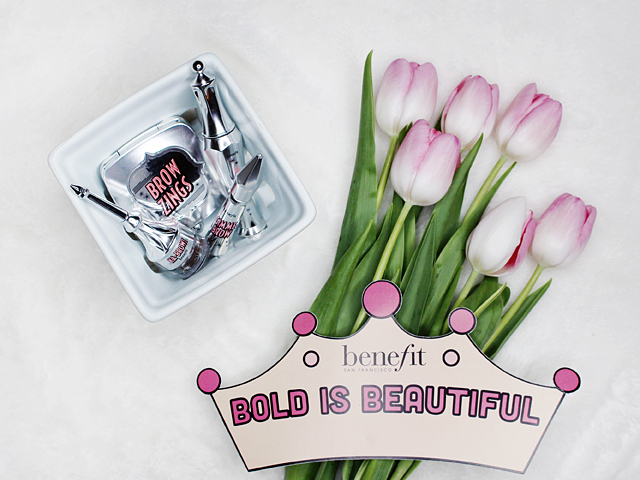 Every May, Benefit Cosmetics has a program where EVERY dollar from brow wax services goes to charities empowering women. Participating countries include Australia, Brazil, France, Ireland, Italy, Korea, Mexico, New Zealand, Philippines, Portugal, Singapore, Spain, Turkey, UAE, USA, UK and our very own, Canada! Last year 209,019 brow waxes were performed with $3.4 million earned. This year's goal is to raise $5 MILLION! Book your appointment ASAP to get a brow wax service done this month and you will definitely help with the cause. If you're curious about which charities your country supports, click here to read more information. Canada's charity partners are Habitat for Humanity Canada and Look Good, Feel Better. I'm honoured to be partnering with Benefit Cosmetics to share details about this program with you! You know I'm super passionate about brows and women empowerment, so I couldn't think of a better fit. Over the last couple of years I've had the pleasure of learning more about the program with training from the team here in Toronto. Back in September 2016 I even got to visit a Habitat for Humanity site with them and help build homes! It was such an incredible experience. Great way to spend a sunny afternoon! 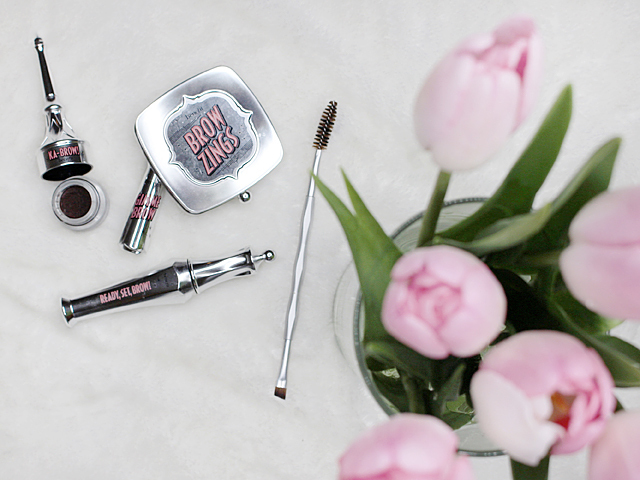 Here are a few FAQ about my brows if you're curious! How do you maintain your eyebrows on a daily, weekly, monthly basis? The tutorial I'm sharing is exactly how I do my brows everyday. Once in a while I may switch up the shape a bit, or how I fill in the powder depending on the look I'm going for. If I'm just going to the gym or to do errands/groceries without makeup on, I will brush some Benefit Cosmetics Gimme Brow quickly; it adds a tint and keeps them naturally in place. I get my eyebrows threaded every couple of weeks. I strictly tell them to clean around my brows and NOT shape them; that way they won't make them too thin or change the way I like them. I try to leave them alone as much as possible (it's hard, trust me!) but I will pluck any extra hair that doesn't belong once in a while. Then every 6-8 weeks I get my brows waxed and tinted at the Benefit Brow Bar. This is when I get them to shape them, too! I always have a great experience from chit-chat to customer service, it's on-point ladies. Are there any tips for growing your eyebrows that have worked for you? There are a lot of serums you can try, but remember that if you want to get results you have to be consistent. Use the serum everyday or twice a day! Unfortunately I found that I'm allergic to something in them but I don't know what it is exactly, so I don't use them. One tip I recommend is to treat them like they are a part of your skin; make sure that when you are moisturizing, to do your brows too. I always use my face oils + lotions on my brows as well. 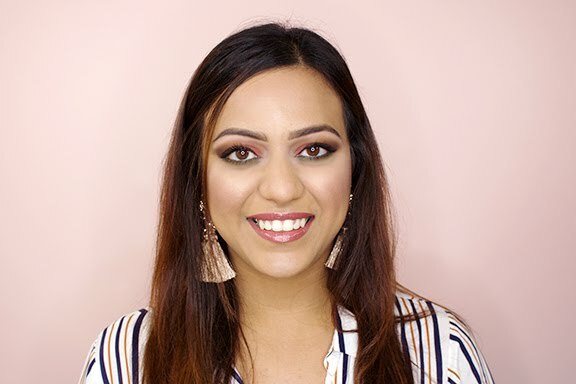 Have you ever considered microblading? At this time I don't think it's the right choice for me. My brows are in a pretty good place and I've legitimately seen a lot of natural growth so I'm going to keep doing my thing! I've seen some AMAZING results with microblading; I may even recommend it to my mom. It might be something I consider when I am older and have very sparse brows or something. If you are leaning towards it, please do your research so you understand the process and pick a person who can perform various shapes depending on what suits the person's face. Help! I made my brows to dark when I was filling them in. What can I do to fix this? Use a spoolie to buff the darkness out as much as possible, you can always clean up the mess around with concealer. Another quick tip I've done that works is to apply face powder on your brows as well. It will help lighten them up a bit to match the rest of your face. Be sure to book a wax service ASAP and get them done this month! You'll be contributing to a great cause. The program works at all Sephora stores that have a Benefit brow bar as well as the Benefit Boutique. This post was kindly sponsored by Benefit Cosmetics Canada.